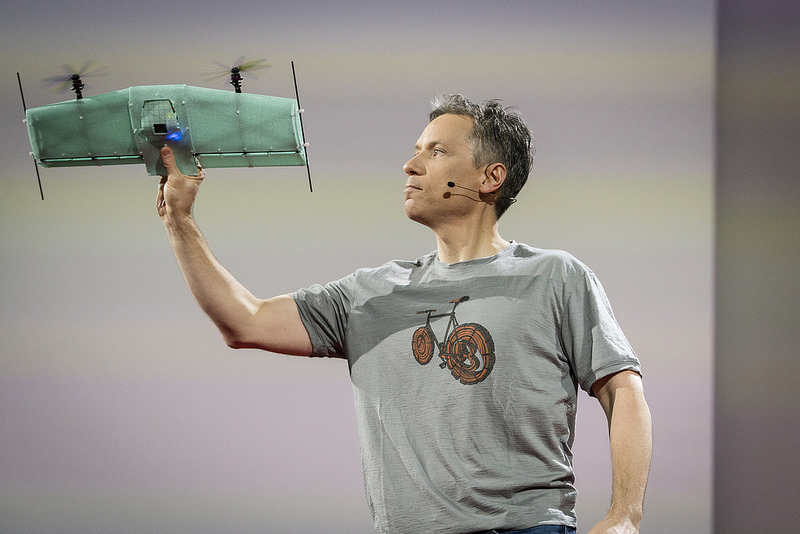 Last week Raffaello D’Andrea, professor at the Swiss Federal Institute of Technology (ETH Zurich) and founder of Verity Studios, demonstrated a whole series of novel flying machines live on stage at TED2016: From a novel Tail-Sitter (a small, fixed-wing aircraft that can optimally recover a stable flight position after a disturbance and smoothly transition from hover into forward flight and back), to the “Monospinner” (the world’s mechanically simplest flying machine, with only a single moving part), to the “Omnicopter” (the world’s first flying machine that can move into any direction independent of its orientation and its rotation), to a novel fully redundant quadrocopter (the world’s first, consisting of two separate two-propeller flying machines), to a synthetic swarm (33 flying machines swarming above the audience). Most of D’Andrea’s work shown at this latest demonstration is dedicated to pushing the boundary of what can be achieved with autonomous flight. One key ingredient is localization: To function autonomously, robots need to know where they are in space. 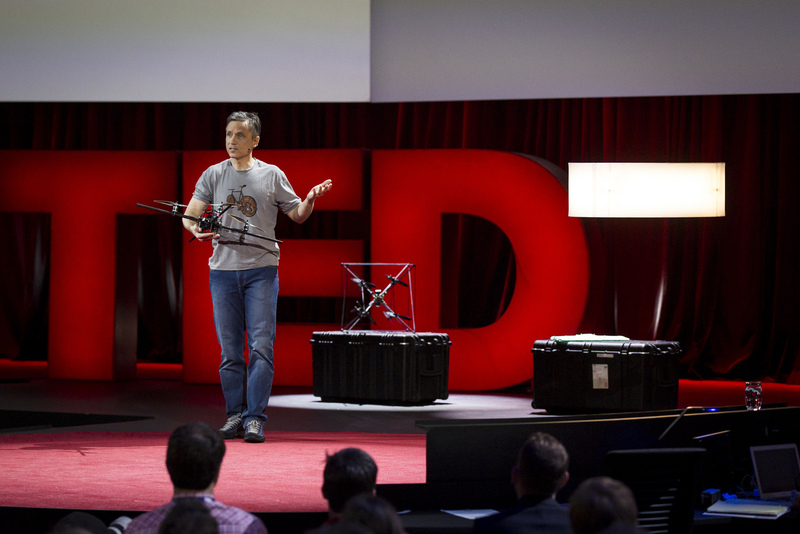 Previously his team has relied on an external high-precision motion capture system available in his Flying Machine Arena at ETH Zurich for positioning. 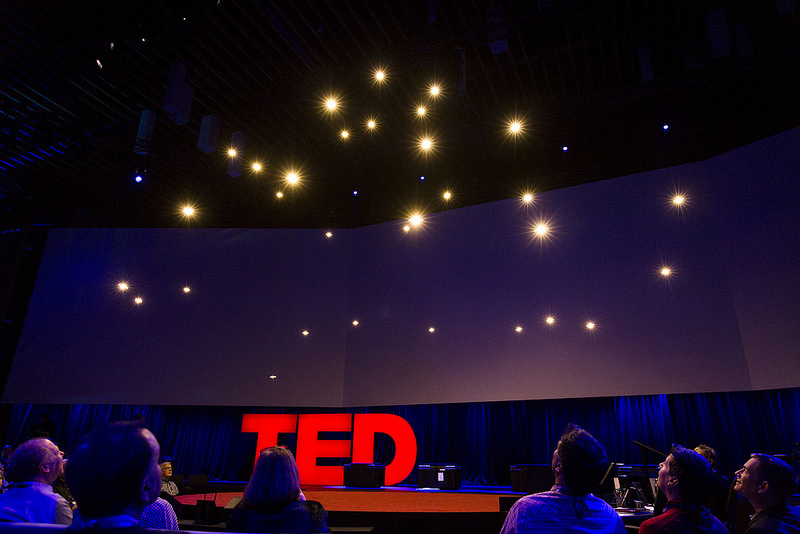 In his previous TED talk on robot athletes for example, you can clearly see the reflective markers required by the motion capture system. This meant that most algorithms were difficult to demonstrate outside the lab. It also meant that the system had a single point of failure (SPOF) in the centralized server of the mocap system — a highly problematic point for any safety critical system. 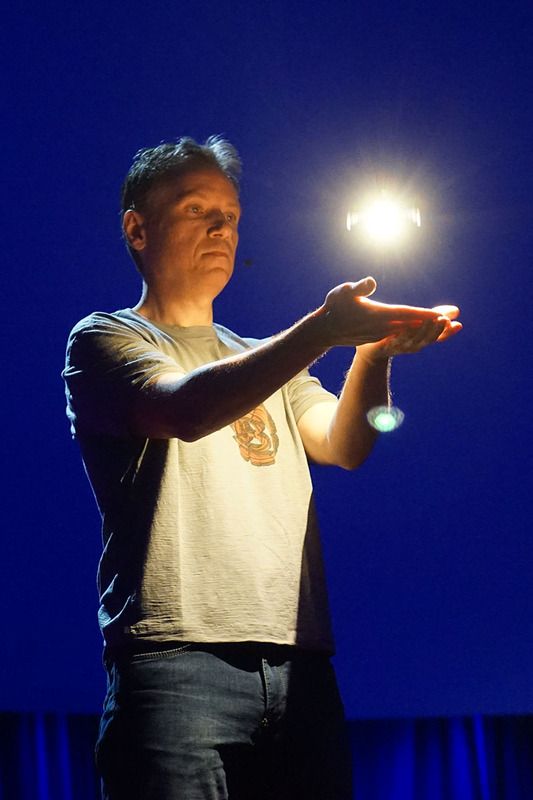 In another world first, Raff and his team are now showing a newly developed, doubly redundant localization technology from Verity Studios, a spin-off from his lab, which gives flying machines, and robots in general, new levels of autonomy. For the live demonstrations, all flying machines use on-board sensors to determine where they are in space and on-board computation to determine what their actions should be. There are no external cameras. The only remote commands the flying robots receive are high level ones, such as “take-off” or “land”. The nature of this performance was also unprecedented in that it did not use safety nets to separate the audience from the action, and in that it even saw dozens of vehicles fly directly above the audience. 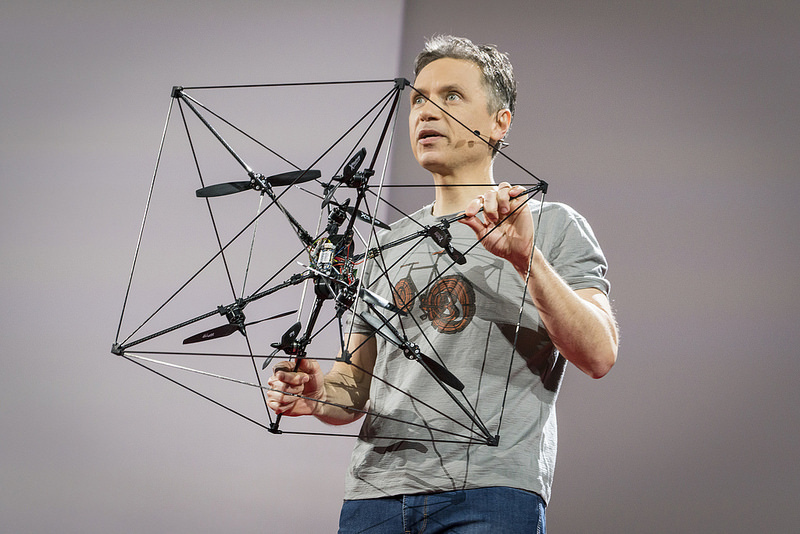 The performance included demonstrations of various safety systems for flying machines, including a large, high-performance quadcopter that is fully redundant and that utilizes a state-of-the-art failsafe algorithm (see previous Robohub article) among its many other onboard and offboard safety features. 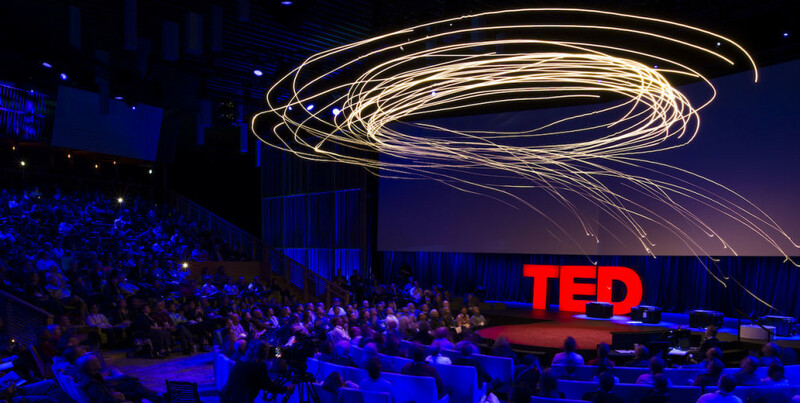 Following extensive technical discussions on the various failure modes of the positioning system and of each flying machine as well as on the systems’ numerous redundancies and safety features, the organizers of TED had full faith in the systems’ safety and reliability. 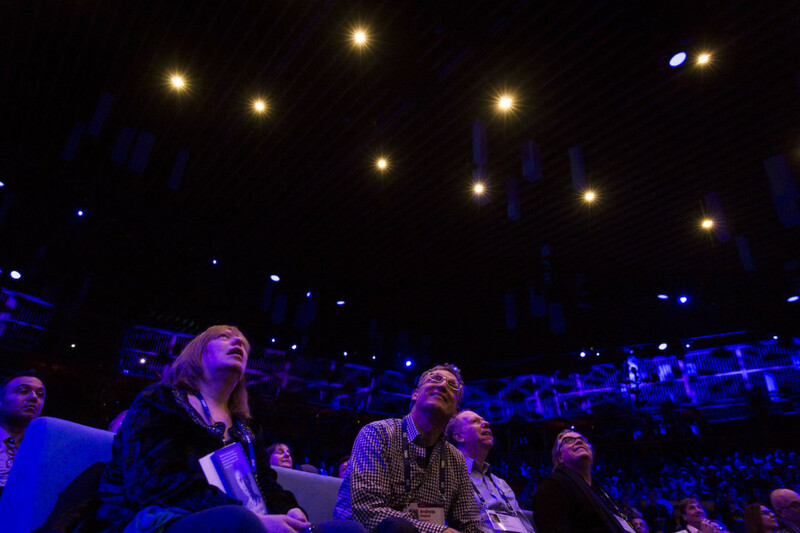 So much so that they decided to indemnify the venue against any lawsuits to overcome its ban on drones. 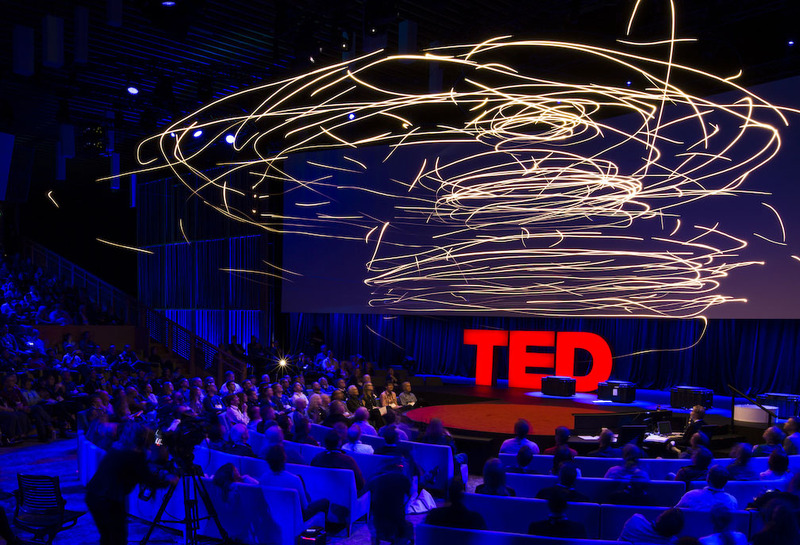 The video shows some of the previous work of D’Andrea’s group on aerial construction: A 6-meter tall tower built out of 1500 foam bricks by four autonomous quadcopters over a three day period in front of a live audience and a rope bridge built by three autonomous quadcopters in the Flying Machine Arena.